Jesse Ashman studied English at Queen Mary, graduating in 2014. He is now Client Account Executive at the LGBT+ charity Stonewall. 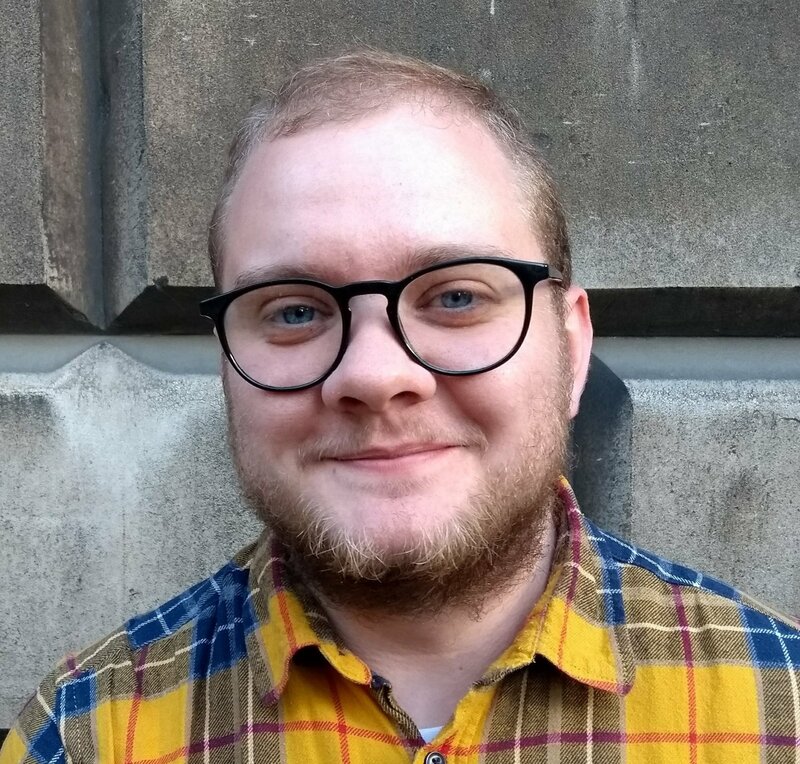 Jane Smith, Diversity and Inclusion Adviser, caught up with Jesse to hear about his experience of being trans at Queen Mary, and hear his advice on being a visible member of the LGBT+ community. Let’s get started then, what initially drew you to Queen Mary? I actually decided to apply to Queen Mary as I knew the work of one academic who was a lesbian! I didn’t think I would actually get into university at all. I didn’t have the predicted grades, I think I was predicted BBD for A level, so it was never really a serious consideration for me. When I came for the interview, they were the only university to take account of my educational background - I wasn’t coming from a grammar school and Queen Mary were prepared to give me a chance to try make the grades. I’d had a bad experience at a careers fair at my college where the university rep for another university wouldn’t even give me a prospectus because of my predicted grades! In the end I got three As! Wow, so Queen Mary supported you right from the off! What were your expectations before you arrived? Until it was actually happening I didn’t think that I would be going to university, so I had no perspective of what it would be like. Have you read/seen ‘Oranges Are Not the Only Fruit’ by Jeanette Winterson? It’s a coming of age story about a lesbian girl - I was expecting it to be like that! In that case, what was your first impression when you arrived? There were lots of people and everyone had a car. I remember that as I was the only person that seemed to be moving in on foot! My dad and his friend were helping me move in and we carrying my things to the halls of residence, I had one of those big rucksacks. The other thing that I remember was seeing a queer couple walking around campus holding hands. That’s great! From day one you could see LGBT+ visibility on campus! Were you ‘out’ before you came to Queen Mary? Not explicitly ‘out’. I didn’t look like a straight woman and people made assumptions, I just let them assume. Seeing a queer couple on the first day, it was immediately obvious that this was a safe space for LGBT+ people, and the couple later turned out to become two of my best friends! Thinking about the duration of your studies, what support was there at Queen Mary for you as an LGBT+ student? So the LGBT+ Society was really important for me. I was worried about not being able to make friends at university, but I was able to make lots of friends through the society. I think I managed to make friends with every trans person on campus! I also worked a lot with the Widening Participation department, and worked for the Peer Assisted Study Support scheme. My manager was really supportive, despite having no real pre-existing knowledge of how to support LGBT+ students, and it was first job where I had ‘Mr’ on my payslip. The Disability and Dyslexia lead in my department was really supportive too. They were openly LGBT+ so I felt comfortable talking to them and didn’t need to educate them on LGBT+ issues. They later became my dissertation supervisor as my dissertation subject was in queer studies. It sounds like you had a very positive experience. You mentioned you made friends with lots of trans students, were you aware of your trans identity at that point? Not really. I would say “I’m not trans, my friends are”. I didn’t have a big coming out moment, I would let people make assumptions. Eventually I started correcting people for using the wrong pronouns, and I had the same name so there was no “big reveal”. Did anyone struggle to accept your identity? Some people struggled. They would be apologetic but then keep getting it wrong. One lecturer asked me how to spell my name in a seminar and then said ‘oh, spelled like a boy’s name’. I told them that it was a boy’s name, and eventually had to say ‘I’m transgender’. They were very apologetic afterwards. You had a few issues along the way then, but it seems like your experiences were mostly positive! Did you have any other less positive experiences? I’ve never experienced street harassment and I have very supportive family which I’m aware are in no way typical in the LGBT+ community. My negative experiences were mostly internal, mainly within my own head. I would think ‘trans people are not acceptable’, and would have points of hating my body or myself. Would you have liked to see more support from Queen Mary to help you through these struggles? If so, what would that support look like? It would have been nice for Queen Mary to acknowledge that LGBT+ students may need more support, and to have counselling services promoted specifically to the LGBT+ community. Also for all staff to be aware of LGBT+ issues, and to know what supporting LGBT+ students looks like and to offer it. I was very lucky that I was involved in the LGBT+ Society, whereas others didn’t see an LGBT+ presence on campus and didn’t know that it was OK to be visible. Some staff were really supportive, for example with the Careers Service there were no issues or questioning of my identity so I didn’t feel judged. On the other hand, when trying to access support for my dyslexia, some staff made it difficult for me as my certificate said ‘Mr’, and they didn’t believe that that was me. I would also like to see more queer studies available! Was there a stand out/favourite moment for you during your time at Queen Mary? The first time I went to an LGBT+ Society meeting. I was worried about not making friends at university, and it was the first time I had been in a room together with people who were self-identified and out. I had known LGBT+ people before, but no anyone who was out. What a great experience! How do you think your time at Queen Mary has led you to be where you are now? It really helped that I was academically allowed to specialise in queer studies at Queen Mary and that it was considered a legitimate discipline. My supervisor was supportive of me taking queer studies modules and recognised that I didn’t need to focus on modules with traditional structure or format. This allowed me to do a masters in sexual dissidence at the University of Sussex. After graduating from Sussex I became a Mental Health Recovery worker. I was not qualified at all, but during my time at Queen Mary I started the QM Mental Wealth Society and because of this experience I got the job. I also worked with a youth group in the evenings for young people who didn’t get on well at school, and eventually became the Community Development Coordinator for the family centre which ran the group. These experiences then led onto Stonewall where I am now. Do you have any advice that you would give current students who are thinking about their future careers and identity?